Geodes can form in any cavity, but are more common in igneous and sedimentary rocks, and can form in gas bubbles produced during volcanic activity. When discovered, until the geode is split, there is no way of knowing exactly what is inside. However certain locations have a prevalence of particular minerals, such as amethyst from Brazil and Uruguay for example. Amethyst has long been called the sobriety stone, and in Roman times was often crushed and added to cups of wine to prevent drunkenness. 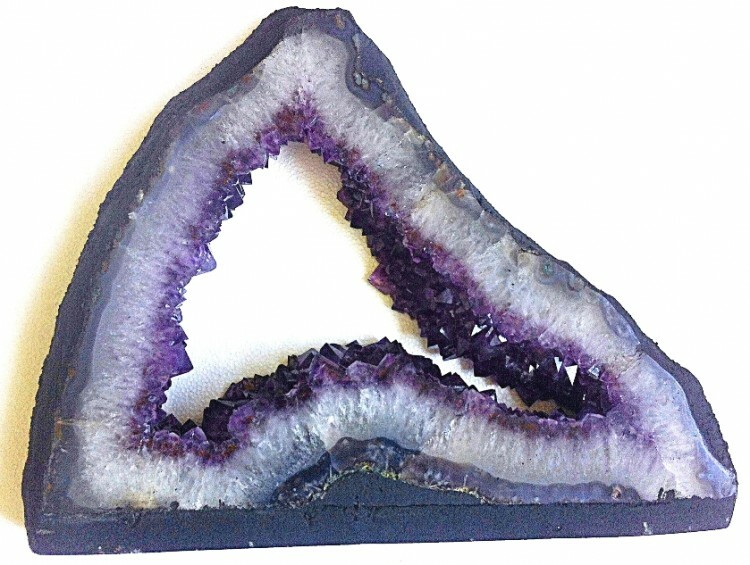 In mystical terms, amethyst is said to bring peace, calm, harmony, and a balance to life. It is also suggested it is helpful for many ailments. Whatever its powers, this is a beautiful, decorative piece, to grace any home. 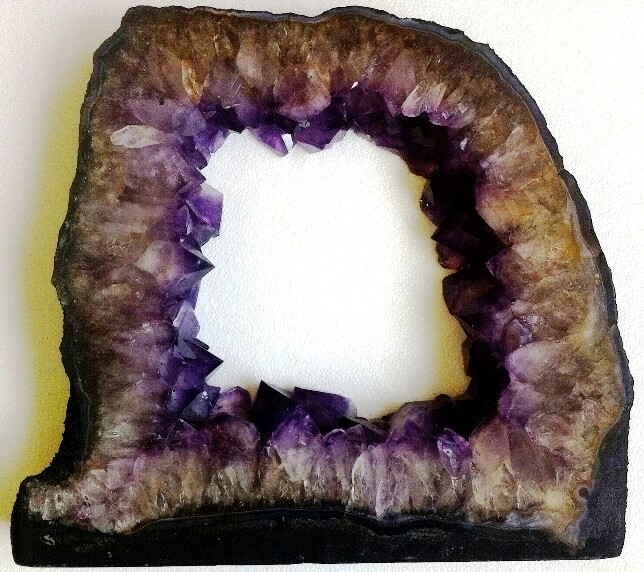 A large, beautiful amethyst cut geode, displaying a ring of amethyst crystals. Fantastic decorative piece.